Doubting Austin Kratz would be your first mistake. Giving up on him would be your second mistake. Austin Kratz used his "competitive edge" on the homestretch to power past top seed and US No. 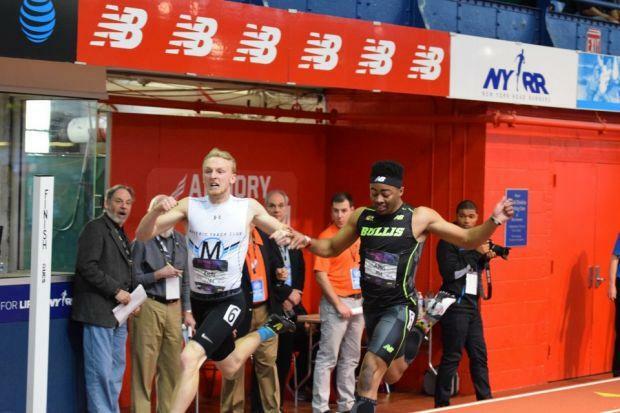 1 Eric Allen Jr. of the Bullis School (MD) in the final of the championship boys 200 meters at New Balance Nationals Indoor on Sunday. Kratz clocked a time of 21.01 to break his own Pennsylvania sate record and slot himself in at No. 8 on the all-time national list. 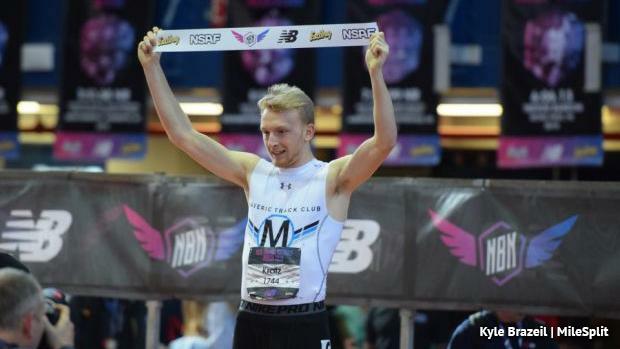 Kratz neither doubted himself, nor gave up on himself once he got on the line in a very competitive final at The Armory in New York City. "I think if you ever go into a race thinking you're not going to win it, you're not going to win it," the still-unsigned Dock Mennonite senior said. "They are just such amazing runners -- they've beaten me before, I've beaten them before -- but just being able to race them again, and for them to push me that much, I thought I had a chance. "I told myself right before I ran, 'I can do this.'" Then, halfway through the one-lap race, Allen, in lane five, passed Kratz on the inside. Allen already had the US No. 1 time of 20.91 from earlier this season, and here he was making his move on Kratz, who finished 20th in this event at this meet a year ago. But he wasn't ready to give up just yet. "I knew I was in lane six, and I knew I could sling myself down that straightaway," he noted. "As my coach says, I can compete with my top-end speed. I know I can." Kratz never let Allen's gap on him become too wide. On the homestretch, Kratz found what he called an "overdrive gear" and galloped past Allen off that high outside bank to take a narrow win: 21.01 to 21.08. The national champion said he was aiming to go sub-21, but a full outdoor season still awaits him. He said the 200 meters is his favorite event, and on Sunday he showed everyone that he's the best in the nation over that distance. For the first time in the record's 35-year-old history, we can say that Clinton Davis' all-time outdoor Pennsylvania mark of 20.23 is not safe. Kratz likely wouldn't say it's out of reach.